I did not get a bow ready for the event. 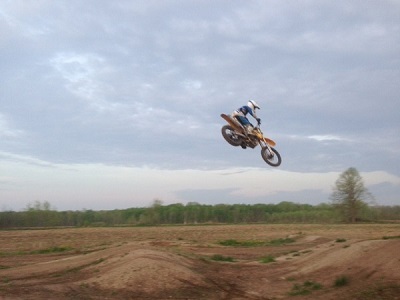 But I did get one put together and let Ken do some testing. 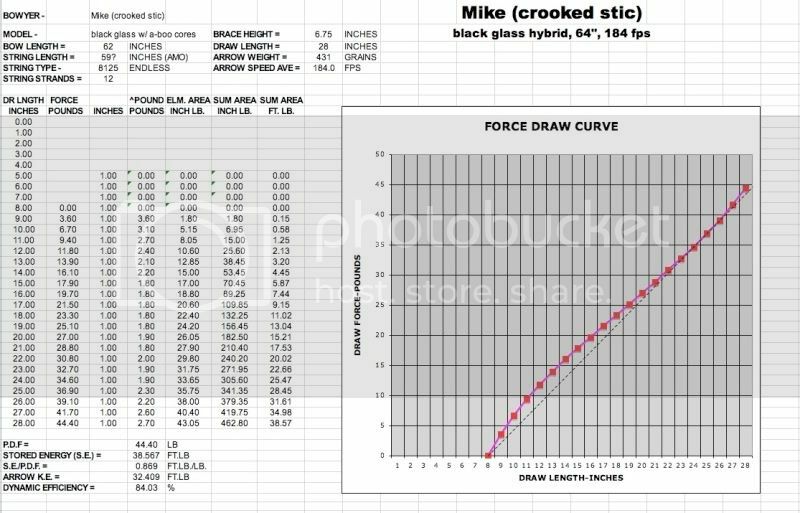 Chrono and force draw curve. So I guess you could call it a late entry bow. Anyhoo this is the results Ken sent me. I will send the info to Willis and get him to put the draw curve in graph format. This is a 62 in. Bow. Black glass A-boo cores. Looks like a nice bow mike. Good speed too What's your taper on that .002? 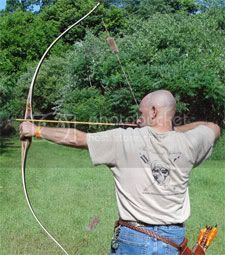 BTW, mikes bows have very good shooting characteristics. That bow is really quiet and no shock to hand what so ever! When I checked the limbs, they seemed to be in perfect sinc with one another. Great job Mike! BK .004 with a power lam and tip wedge. 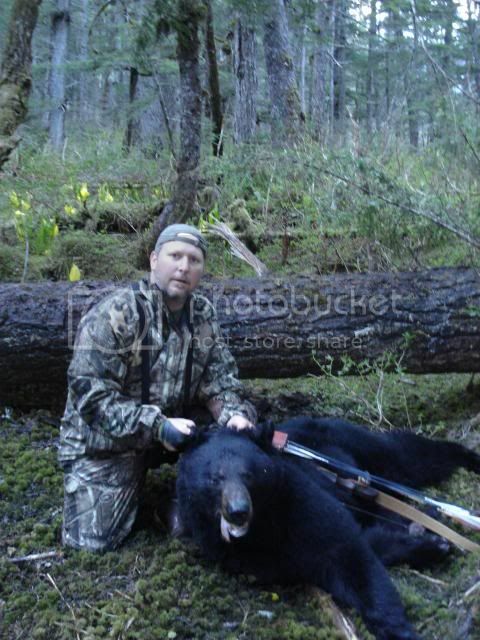 Kenro wrote: BTW, mikes bows have very good shooting characteristics. That bow is really quiet and no shock to hand what so ever! When I checked the limbs, they seemed to be in perfect sinc with one another. Great job Mike! Mike....looking at full draw, I see the effect of the tip wedge, but I'd have never guessed there was a power lam in there. Have you done one with the PL and without the TW? Bow looks great, I especially like the braced profile. Good numbers as well!!!! BK the power lam goes 2 in. past the fade. Maybe needs to be a little longer. Done one with tip wedges and no PL. Still playin with this stuff. Thanks Jim. It looks better on paper than I thought it would. Last edited by Crooked Stic on Mon Sep 28, 2009 4:52 am, edited 1 time in total.